Smaller businesses can gain invaluable insight into the opportunities of nuclear new-build at a free event in February. The day-long series aims to help small and medium sized enterprises (SMEs) prepare to enter the nuclear supply chain through a series of in-depth presentation and discussion sessions. The ‘Winning business in the nuclear renaissance‘ event takes place at Doncaster Racecourse, South Yorkshire, on Thursday 17 February 2011. The day is organised by the Manufacturing Advisory Service (MAS) in association with the Nuclear AMRC and Nuclear Industry Association. The Nuclear AMRC team will provide an introduction to the nuclear product development cycle, how the centre can help companies prepare products for the market, and how SMEs can prepare to meet the tough quality standards of the industry. Other sessions will cover contracting and tendering, quality codes and standards, and auditing and assurance. The day follows the MAS nuclear supply chain opportunities conference in Manchester in September. That event resulted in 110 SMEs requesting a nuclear-related review from MAS. DVDs of the conference presentations are now available from MAS. Attendence is free for all UK SMEs. For more information, call MAS on 0800 458 9585, visit the MAS event web page, or download the brochure (pdf). The companies planning to build new nuclear power stations in the UK have welcomed government proposals to reform the electricity market. 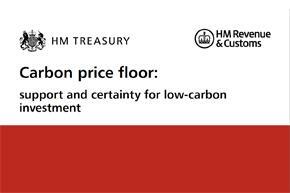 The proposals, which are open to consultation until February, include plans to introduce a carbon floor price to allow low-carbon generation to compete for long-term investment on a level basis with fossil fuels. Utilities have identified this as a necessary step to allow the construction of new nuclear plant and other low-carbon generators. The news should give increased confidence to manufacturing companies preparing to supply the new generation of nuclear power stations. EDF Energy is planning to build four Areva EPR reactors with a total capacity of 6.4GWe at Hinkley Point and Sizewell. NuGeneration, the joint venture between Iberdrola, GDF Suez and Scottish and Southern Energy which is planning up to 3.6GWe new capacity at Sellafield, also welcomed the news. Ian Marchant, chief executive of Scottish and Southern Energy, commented: “In the next two decades, substantial investment is needed to decarbonise the power sector and maintain security of supply whilst ensuring electricity remains affordable. Horizon Nuclear Power, the joint venture between E.ON UK and RWE npower which is planning up to 6GWe of new capacity at Wylfa and Oldbury, said it would be scrutinising the details of the proposals to make sure that they can deliver long-term confidence for investors. At the NIA’s annual Energy Choices conference in London earlier this month, all three groups called for energy market reform including a carbon floor price. The new proposals include an array of measures to make low-carbon generation more economically attractive, and promote the construction of new generation capacity without the need for direct subsidies. For nuclear power, the key reform is the introduction of a carbon floor price, which imposes a minimum price for electricity generated from fossil fuels and reflects the long-term costs of greenhouse gas emissions. The reform should benefit all low-carbon generation technologies. The energy and climate change secretary, Chris Huhne MP, said: “These reforms lay the foundations for a sustainable economy, bringing billions in investment in the UK through greater certainty, safeguarding jobs up and down the supply chain, and giving the UK real competitive advantage in advanced energy technologies.